Our community has been blessed from its inception with dedicated sisters who, in the spirit of our foundress, keep before us the ideals contained in Living Word of God. This three-member team gives direction to our community efforts to bring the Word to generations thirsting for God. Elected for a five-year term, the leadership team gives direction to our community efforts to bring the WORD to generations thirsting for God. 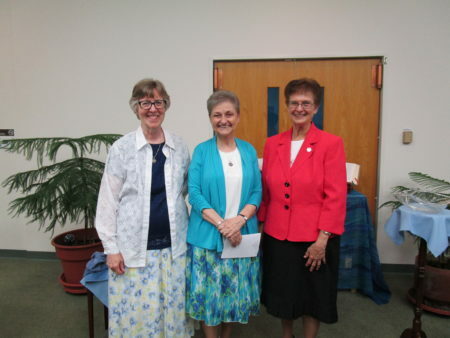 Sister Sharon Glumb (right), completed twenty years of ministry to college students in the south before returning to her hometown area of Chicago in 2013 to begin leadership ministry. She is now serving a second term in Congregational Leadership through 2023. Sister Carrie Miller,(center) founding program manager of Faith Community Homes from 2003-2018, is beginning her term as a member of Congregational Leadership through 2023. Sister Kristine Vorenkamp (left), who was raised in New Orleans, LA lives in Des Plaines, IL is involved in advocacy for immigrants and serving in leadership ministry for her second term through 2023. 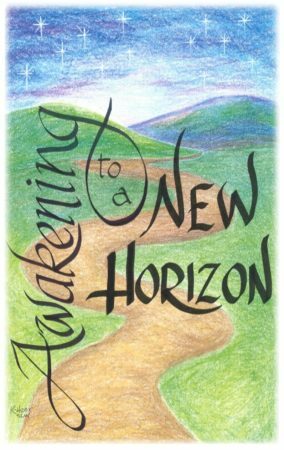 The Sisters of the Living Word are a dynamic group of women, a leaven among the People of God, a presence that brings life wherever their lives and journeys take them.